Success in India will determine the long-term prospects of Internet companies like Amazon.com, Inc. (NASDAQ:AMZN). AMZN stock is definitely not cheap; it trades at a whopping 25-times book value. A lot of growth is priced into the stock, so Amazon needs to deliver. Amazon stock will continue marching upwards if the company succeeds in expanding overseas. Amazon CEO Jeff Bezos is determined to succeed in India, having lost China to Alibaba Group Holding Ltd (NYSE:BABA) and JD.Com Inc (ADR) (NASDAQ:JD). Amazon opened its first fulfillment center in India in 2012 and launched Amazon.in the next year. Amazon brought Prime to India in July 2016, initially without Prime Video. I’ve covered Amazon’s actions in India over the past eighteen months. In late 2016, I wrote about the prospects for AMZN stock and Netflix, Inc. (NASDAQ:NFLX) in India. Last March, I reviewed e-commerce in India, describing Amazon’s strategy for succeeding in the country. Amazon has done well since; the stock is up 73% over the past year. Success in India would certainly boost the stock, but can Amazon succeed in India? Let’s take a look at Amazon’s moves across these sectors. Amazon’s core business is succeeding in India, although this comes with a price. According to Praxis Global Alliance, Amazon’s share of Indian e-commerce in 2016-2017 rose from 12% to 29%. This puts Amazon in second place behind India’s Flipkart, which boasted a 38.5% market share. Although Amazon is winning market share, it is also losing money, about $120 million a month in India alone. Losses for Amazon’s international segment more than doubled, from $1.3 billion in 2016 to $3 billion in 2017. This isn’t hurting AMZN stock, which trades near its 52-week high. Amazon Now, a service where Amazon delivers food from local supermarkets, premiered in India in 2016. But Amazon wants its own slice of India’s grocery business. Amazon obtained permission from the Indian government to invest in food retail in July 2017, and is currently operating in the city of Pune. A source told India’s Economic Times that it would take “at least a quarter” for Amazon’s grocery business to go nationwide. 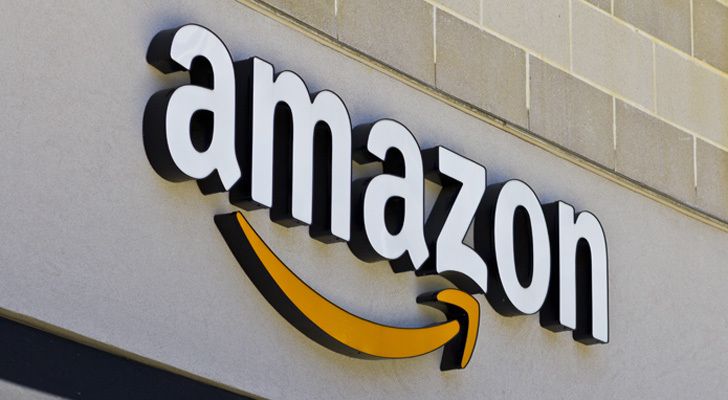 Amazon brought Prime Day to India last July, claiming this boosted sales and Prime memberships as well as the profile of AMZN stock. Amazon also expanded into brick-and-mortar retail, buying 5% of a department store chain based in Mumbai, India’s largest city. AMZN worked hard to customize Alexa for the Indian market and recently began selling Amazon Echo speakers in the country. Prime Video entered India in late 2016. According to IHS Markit, Amazon Prime Video accounted for 10% of India’s crowded video streaming market last year. This year, Amazon plans to launch 10 original shows in India, and in the coming weeks, Amazon will roll out Prime Music in the country. To beef up its catalog, Amazon has signed deals with several music companies in recent weeks. Amazon signed deals with two of the “Big Three” global record labels. In January, Amazon partnered with Sony Music, gaining access to “millions of International and Indian soundtracks.” And last week, Amazon made a similar deal with Warner Music Group. Amazon has also reached agreements with five Indian record labels, including Times Music. This will give Amazon Prime subscribers in India access to a huge selection of songs. Music streaming in India is just as competitive as video streaming. Prime Music needs a large catalog since it will face half a dozen competitors in India. Things will get interesting in the coming weeks. Walmart Inc (NYSE:WMT) may spend $10 billion to buy a 40% share in Flipkart. If this deal goes through, Flipkart will have a huge war chest with which to battle Amazon. Amazon will also face competition from Alibaba. Alibaba owns UC Browser, India’s most popular web browser. According to the venture capital firm Kleiner Perkins, UC Browser commanded a 50% market share in India last year. Alibaba is reportedly planning to move into India’s video streaming market. Amazon will probably continue losing money in India for a few more years, but given India’s size, quitting is not an option. If Amazon succeeds in this huge market, AMZN stock will be richly rewarded. Article printed from InvestorPlace Media, https://investorplace.com/2018/02/amzn-stock-win-india/.